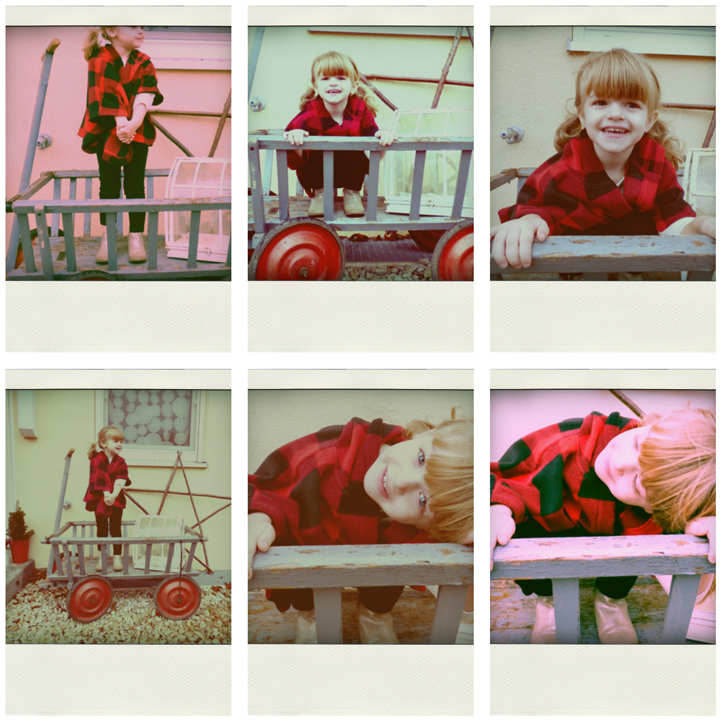 I took some pictures of Janey on the front porch yesterday for a layout. Yes, sometimes I take pictures just for the sake of scrapbooking them :) And then I altered them in Poladroid to create a Polaroid effect! What. A. Doll. and look at all of that hairrrrrrr! I love our little Jane!